Today is our younger son’s birthday. At 4:44 this afternoon, J will turn 10. Steve and I were talking about this morning, and we’re just not sure how that is possible. We’re only 3 years older today than we were on the day he was born. Funny, that. J is very interested in “where did I get…?” For instance, “Whose nose do I have? Where did I get my ability to catch a ball?” He likes to play that game. I am TERRIBLE at that game. To me, he just looks like J. Actually, even though our boys don’t look like each other, I think they both look like Steve. G has my eyes, and that’s about it. The lectionary reading that I read this morning is James 1:17-27. There’s a nice image in that passage of looking in a mirror. What do we see when we look in God’s mirror? When we look in His mirror, I think that we see that we are made in God’s image. He crafted us as a reflection of Himself. What does that mean? Does it mean we look like him? I don’t know, but I think it does mean that we are created to BE like Him. What does God do? He loves, and he has crafted us for the same purpose, and He has told us what that purpose is – “Love the Lord your God with all your heart and with all your soul and with all your mind…Love your neighbor as yourself.” It’s not only the “greatest commandment,” – it’s why we were created in the first place. What else? When you (or I) look in God’s mirror, I think you’ll see God in your own eyes. He’s not just holding the mirror, he’s in us; he’s with us. Therefore, not only are we crafted to love, we are also comforted by the fact that we don’t have to do it alone. God is not only THERE – he’s HERE. So we look in the mirror, and we see ourselves – we know who we are – who we are made to be. We know our purpose, and we know that we are not asked to fulfill that purpose by ourselves. Watch what we say to each other – Over my desk at work, I have a few pieces of scripture stuck to a tiny strip of bulletin board. One of the them is James 3:5-10. With it (the tongue) we bless the Lord and Father, and with it we curse men, who are made in the likeness of God. From the same mouth come blessing and cursing. My brethren, this ought not be so. (James 3:9-10) We need to remember that what we say to people – what we communicate to people – is one of the ways we love them. It can also be one of the ways that we fail to love them. Help those in need – “To look after widows and orphans in their distress.” Isn’t this just pure “love your neighbor as yourself?” I think James is using an obvious example to help us to understand that love is action – helping those in need is loving them. Without the action, without the love, all we are doing is looking at them. This passage is not an ET statement of “Be Good!” (Come on, remember the movie?) This is a deep down description of who we are, why we are made, and what we are to be about in the world. It’s not a grocery list of tasks we can do to make our way to heaven. We’re already there. This is James telling us what it means to be a Child of God. Image: Happy Birthday, baby! (J with matching cotton candy at KI). The devotion I read this morning was based on the scripture of Psalm 45:6-9. One phrase from that passage stuck with me, and I'm going to lift it out for this post -- not for how it relates to its Psalm of origin, but because of the image that this particular phrase created in my thoughts. Think about the word "anoint" for a moment. Picture in you mind someone being anointed. What do you see? Do you see a minister touching the forehead of someone kneeling in front of him, placing a symbolic trace of oil on the skin? Or is your image of anointing more like the one in this photograph -- gushing, pouring, abundant? One of the definitions I found for anointing was "to choose by or as if by divine intervention." Another definition listed anointing as a sign of sanctification or consecration. I have a feeling if we are anointing by God, then that action is abundant -- poured forth in great quantities. I receive Sheila Walsh's newsletter in my email, and the one which arrived yesterday contained this: "My prayer for you today is that the love of God will fill you to overflowing. I pray that your cup will be so full, you will be drinking out of the saucer!" Don't we act sometimes as if grace is dotted on our forehead instead of poured over us in abundance? Have you ever seen those little, tiny containers of portable anointing oil? I saw an image of one this morning that was made to carry on your key chain. Do we ever live life as a Christian in a way that seems to say that we can capture God's grace and hang it on our key chain? Don't you think that if we feel like grace is given to us sparingly, out of a dropper -- bit by bit -- that we will act as if it is scarce? That we will hoard it -- keep it to ourselves? I have to believe that grace isn't like that. God pours grace over us in abundance, so much so that it fills up our cups and spills over into our saucers. God's love isn't symbolic or neat -- it's all encompassing -- it soaks us to the skin and makes us laugh. God's grace tickles us -- we are anointed with the oil of joy! For a time, when I would kiss J, he would make a joke, and try to rub it off. My answer -- everytime -- was that "'Mom-kisses' never rub off. They sink in and are with you forever." God's love is like that. What difference does it make? Look at the picture again. If you were standing next to that young boy as he was being "anointed," you would get wet. You wouldn't be able to protect yourself from it -- the splash would be so large that it couldn't be contained to just the boy. That's the difference between abundant anointing with love and a dot of grace on the forehead. When we understand that we are loved abundantly -- with never-ending, soaked to the skin, never rub off kind of grace, then we can't help but get everybody around us wet. We will be blessed with copious amounts of grace, joy and love, and we will be a blessing. May your heart burst its banks today. On a different topic, Don Keller, in his sermon on Sunday at Asbury Woods, asked us to consider a question -- What is it that compels you to worship? What is it in God's kingdom that forces you to worship -- that creates a situation in which you can't not sing praise. Music -- I've said it before -- God speaks to me through music. It can be during worship through hymns, anthems, or solos, or it can be outside of formal worship -- in the car, in my lab, in my kitchen. The location doesn't matter -- it's the "voice" that I hear. I've gotten into a habit in the past couple of months on Sunday evenings (usually, although Saturday works, too) of getting in my car, opening the windows and the sunroof, turning on a CD and driving downtown to pick up frozen yogurt for Steve and me. 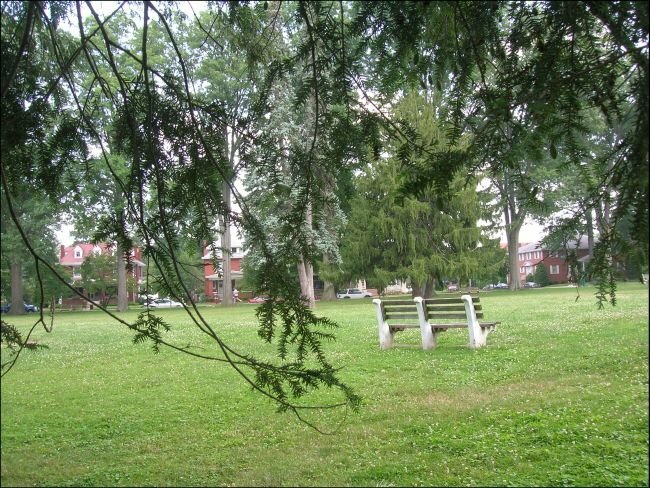 If you know Huntington, I go the long way around -- Norway, Washington Blvd, through the park. I have a great time singing (music's too loud for anybody to hear me, even myself) and driving. I wouldn't call it worship, but it is joyful. I'll miss it when the weather gets bad. "I tell you," he replied, "if they keep quiet, the stones will cry out. "I'm not sure I understood that before, but I did when he said it. Creation does "cry out" of God's majesty, and it will move us to worship if we will only pay attention. It's more that "isn't this sunset beautiful?" Have you ever looked at a beautiful piece of art and known the talent and gifts of the artist from his handiwork? Have you ever watched a child play in the yard and known the glory of her creator? We can't help but hear the echo of God's voice in that which he has created. "God said...and it was good." Christian Community -- Don explained that this was more than just people together in one room -- Christian community is the body of Christ, putting the needs of the other person ahead of our own. This one needed no explanation for me; I was sitting right in the middle of it. I just did a quick count of the number of people who worked to make the worship service and picnic a success on Sunday. My rough count, off the top of my head, and not including those who I didn't see working, was around 50 people. I think that's amazing. And what is even more amazing is that I didn't ask a single one of them to help -- they volunteered, they showed up, they just pitched in. They all saw a need, and answered it. That's Christian community, and it brings me to worship. I can hear God's echoes in a field, but its only in the Body of Christ that I can feel his love. Is there something that creates in you a need to worship -- something that mandates a response? What around you calls to the spirit of God in you, and starts it singing? 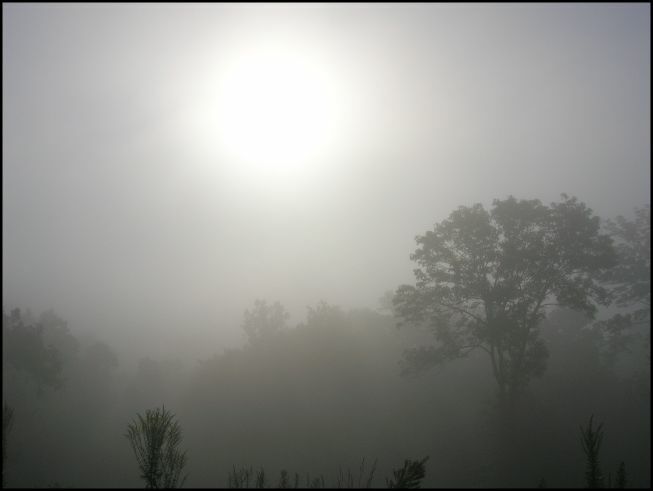 Image: Another foggy day at the VA -- almost no color that morning. My post is late today because I've been debating what to write about. I've had a few ideas, and actually started this particular one once, but stopped. This post is about what was on my mind on the way back from lunch today, so I'm going with it. The only reason I hesitated is that I'm not sure I'll be covering any new ground -- this is probably a well-worn path. Complementarians generally insist God created male and female equal in spiritual standing before God, but are also created to fulfill distinct (complementary) roles or functions. More specifically, complementarians insist females are excluded from certain positions in church leadership. Egalitarians, in contrast, argue that because God created male and female to be equal, restrictions on females, even in reference to church leadership, have been completely lifted in the age after Christ's resurrection and ascension. Thus, appropriately gifted and called females are free to serve in positions of pastoral leadership and authority. From one article I read today, it is assumed that the complementarian viewpoint includes the idea that women are to be submissive to the "headship" of the man. In fact, to desire for the relationship to be defined in any other way is sinful (based on the curse given to Eve in Genesis 3:16). Apparently (I'm being facetious) it is expected that I will not wish to be submissive, because that's part of God's action after the fall, and that my natural desire to not be submissive is sinful in itself. The same article about the complimentarian viewpoint said that God may choose to give his children any gift he likes, but that he also can choose to tell us how to use them. This was given as support for the complimentary viewpoint, but I must question how that viewpoint allows God to choose to tell us how to use our gifts, if we are limiting how they may be used before they are even given. If God created men and women to have equal spiritual standing before God (and both of these viewpoints insist that they believe that), then please show me in a complimentary church what role the man is prohibited from fulfilling (other than inactivity -- which is not to be a role for either of us). How does that give us equal spiritual standing before God? If I think I'm developing a closer relationship with God, and believe that he is guiding my life, what happens when my husband tells me he believes God's guidance for my life is different than what I think God is telling me? If we have equal spiritual standing before God, then I have to ignore my husband and listen to God. If I am submissive to my husband, then I have to ignore God. I cannot serve two masters. We don't have equal spiritual standing before God if he speaks to my husband but not to me. What happens when a woman doesn't have a man to give her spiritual direction? Is she just out in the cold? Or is it then that she can hear God and listen to his calling on her life (without a man to intercede)? I know that there are scriptural references that complimentarians use to support their belief system. I have them, too, as -- and I hate labels -- as an eqalitarian. More than just individual scriptures, though, I believe the larger picture of God as created by the entire Bible, supports the idea that we are all children of God, and that he gifts us for the tasks he wishes us to do. He gets to choose those gifts and those missions, and I must choose to be submissive to him -- not to another child of God. Women now make up 51 percent of the students in divinity school. But in the mainline Protestant churches that have been ordaining women for decades, women account for only a small percentage -- about 3 percent, according to one survey by a professor at Duke University -- of pastors who lead large congregations, those with average Sunday attendance over 350. People in the pews often do not accept women in the pulpit, clergy members said. In their second decade in ordained ministry, however, 70 percent of men had moved on to medium-sized and large congregations, Mr. Carroll said, based on a 2001 survey of 870 senior and solo pastors. By comparison, only 37 percent of women led medium and large larger congregations. We all have some work to do, I think. Some women are facing prohibitions against full membership in the church (if responding to our call is curtailed, then we do not have full membership in a church). Others are facing a "stained glass ceiling." We need to get out of God's way as he does his work. I may write one post along these lines about the feminization of the church. I may call it "Pantyhose not required." Or I may not. I learned a lesson today. I thought this was a lesson that I already understood, but I've learned it afresh today. We had our church picnic today. The committee that I chair coordinates this effort, so I've been involved in its planning for a couple of months. The committee made a few changes this year -- mustard seed faith changes. We moved from a physically closer, air conditioned facility to our district camp -- farther away and outside. We moved the regular 11:00 service to the camp as well -- something new for us -- worship off site. A few weeks ago, Steve and I drove out to check out the site -- it had been a while since I had seen it. I have to say, I was not optimistic. The chapel where we were planning to have worship was small and unfinished -- only subflooring on the floor and wallboard but not paint on the sloping ceiling. The picnic shelter seemed drab and dreary. I thought my sometimes picky congregation would find it small, cramped and primitive. I wondered if they would even make the effort to come. Once the people began to arrive, a strange thing happened. God arrived with them. Picnic volunteers came. Committee members jumped in and completed the set up with ease and pleasure. The United Methodist Men, who took on the responsibility for the food, began grilling. The chapel began to fill with people -- to capacity -- almost standing room only. This "church" that had left its building behind, began to sing -- they sang, they stood up, the waved their arms around, they laughed. They were joyful, and it was an amazing thing to see. The floor didn't matter; the ceiling wasn't important -- God was in the house. The picnic itself was great, but it was the people who made it that way. The men's food was terrific, the games were fun, and this family laughed together. In the past our picnics had been more like dinners -- this was a family event -- a REAL picnic. Our church family interacted -- they had fun with each other -- water balloons and all. It wasn't dreary, it wasn't rickety -- it was church. Soon I wasn't seeing anything that I had noticed before. I was enjoying the fields and trees -- creation singing God's praises. My preconceived notions had been wrong. This WAS the right location for this event. Our church WAS a church today, and it was wonderful. I learned again today that the church isn't the facility -- it is not the building -- it isn't even the picnic shelter, and it doesn't matter if worship is held in a cathedral or a "cow palace" -- if God is there, and if his people show up, church happens. I saw God at a picnic today, and He was laughing. Images: First, hands at the worship service -- doing hand motions to Lord, I Lift Your Name on High. Secondly, some of the scenery at Asbury Woods. In Watertown, New York, at an American Baptist Church, a Sunday school teacher of 54 years was dismissed from her teaching role in the church because, as explained in the letter she received, “the church had adopted an interpretation [from the first epistle to Timothy] that prohibits women from teaching men." 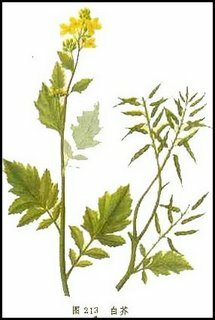 After exploring the church’s web site, reading the response of the pastor and their board, and listening to the interview with Mrs. Lambert, I have a feeling that this may be a church with “multifaceted” problems – issues which need resolution – and that the dismissal of this teacher is only a symptom of bigger issues at work. In the church statement quoted above, the board says that the scriptural rules concerning women teaching men in a church setting was only a small aspect of their decision. I believe that the board makes this statement so that they can point the finger of blame at the dismissed teacher without making any public accusations against her. I am left, however, with idea that while they used the Bible to support their decision, they didn’t actually use it to MAKE their decision. The pastor of the church, in his open letter (found on the church’s web site) goes to great lengths to try to prove that he believes that women can fulfill any role in society that they wish, except in the church itself. To quote his letter, “My belief is that the qualifications for both men and women teaching spiritual matters in a church setting end at the church door, period. Now let me explain my position of the role of women in society especially because that is where many of the discussions have centered and some false accusations have been made that need correction. I believe that a woman can perform any job and fulfill any responsibility that she desires to.” The pastor is also a member of the city council in Watertown, so, as Lucy’s husband always liked to say, “You’ve got some ‘splaining’ to do!” Where in Timothy (or anywhere else in the Bible) does it say that church rules stop at the church door? If one truly believes that women should “remain silent,” then how can it be that that applies only in church? Let me be perfectly clear about my stand on this matter. I am a Sunday school teacher of adult classes which contain both men and women. In no way am I expecting a letter from our Ministry Leadership Council dismissing me from this role (I have a feeling that they would laugh at the thought of it). I have been known to speak to the congregation, and I chair a programming committee in our church structure. All of this means that the church of which I am a member trusts me enough to ask me to assume certain servant responsibilities in the work that we do as a Body of Christ. I have been blessed by God to be placed in a church which allows me to serve God by using the gifts which God has given me. Not teach men? Can I tell you how much I would miss the men in the classes I teach if suddenly I were asked to teach only women? The value of having two gender views of each theological issue is priceless. The interplay between them is “Christian conversation” – a means of grace. What would I do without the “Amen” corner? What I learn from teaching would be seriously curtailed without the views of both the men and women in the classes I teach. I cannot imagine being a member of a church which considered me to be a “compliment” rather than a child of God. To be perfectly honest, as I watch the men and women of our church who teach children, who lead Sunday school, who fulfill the more traditionally female roles in our church, I am amazed at their talent and gifts. They have been placed in these positions by God; I am convinced of it. Notice, however, that that is not where God has placed me. He has not gifted me for these roles, and if I were a member of a church which expected me to fulfill these roles, I would crumble under the weight of my own inadequacy. I thank God for the many blessings granted to me by him through the church in which he has placed me. I pray for resolution of the issues in the church in New York. 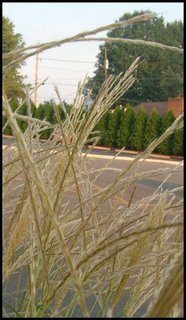 I was dropping J off at his Summer Day Care program this morning when some landscape grass caught my eye, so I took a couple of pictures of it. As I was doing so, a lady behind me (who I hadn't known was there) said, "Oh, I like that bush, too. Unfortunately, I wasn't wearing my "Ignore me -- I'm blogging" t-shirt, so I had to come up with a quick answer as to why I was taking pictures of grass. "I really think it's interesting looking," I said, with great seriousness. Yes, I know -- that was a lie. I really don't think grass is that interesting at all. The truth is that I collect pictures. I saw seeds and grass, and thought, "I bet I might need that one day," so I took a couple of pictures, but I wasn't going to explain that to a total stranger. I also refrained from telling her that it was not a bush. It did start a conversation going, though. Eventually she told me that she had some grass like that planted in her yard, but that it never "bloomed" like this grass. Do we feel that way sometimes? Do we think that all of the seeds we plant and the grass we nurture just never blooms? I challenge you to find a scripture in the Bible which promises us that we will know all of the fruits of our labor -- that the end product of everything that God asks us to do will be totally understood and known by us. Part of faith is believing that if we walk the path God has set for us, and trust him, that he will take care of the rest. We don't have to see all the blooms; God does. There is a commercial on TV for an insurance company (Liberty Mutual, maybe?). It shows one person doing something nice for another person -- maybe helping him to pick up all of the files that he dropped. Unlike the movie "Pay it Forward," where the one who was helped does a good thing for the next guy, in this commercial, someone who is watching what happened carries the love to the next person. Unknown to either the helped or the helper, the witness sees what happens, and then becomes the helper. It goes on and on (for 45 seconds), the witness becoming the helper each time. The helper never knows that he has sparked the next act of kindness. He never knows he planted a seed; he never sees the fruit of the seed. I think it is important that we not forget the unknown ways that grace flows through us. It's not our job to worry about the final fruit of what God has us to do -- our job is to take the first step in faith. And then there are moments -- gifts from God to us -- when we are blessed to see the fruit of something that God has done through us. Those moments are amazing and wonderful, but they are grace -- not our payment for services, but instead are our undeserved blessings. Images: Boring grass at Cross Roads Methodist. The second photo is unrelated to the post, but I saw it this morning and took a picture. I'm sure the person who assembled the sign thought of it as two separate thoughts, but don't you think it could be one thought --> "Jesus is alive. Praise God. Help Needed." His past was behind him. Turning from sin to God. Do you believe it, Theodore? Everything is forgiven by God. O, God, help his unbelief. O, God, help my unbelief. Do you believe that he died for you? O, God, how can he believe it? O, God, how can any of us possibly believe it? Do you feel the grace of the water? when God first claimed you for his own? That he never let go? Don’t spend today’s grace on tomorrow’s burdens. Worry. We all do it. We all have it. To one degree or another it shapes what we do, how we react, what we say and how we spend our “mind-time.” It disrupts our peace and can distract us from what we need to be doing. Is it a sin? I was going to examine that question by looking at what we are promised. We have no guarantees that horrible events won’t happen in our lives. The song which kept running through my head is “I Never Promised you a Rose Garden.” (What is it with me and country music lately?) If we have no assurance of a smooth life, then it seems to me that we have every reason in the world to worry. Do you remember the song “Don’t Worry, Be Happy?” How about “Hakuna Matata” from the Lion King? Do either one of those philosophies eliminate worry? What about when someone says, “Don’t worry about it – it will all work out?” Nope. None of that helps. So, if we have reason to worry, and just trying to not worry doesn’t help, what is it that we are to do? Instead of worrying, pray – There is an inherent, unstated assumption here that God knows we worry. He knows it is a problem, and he’s ready to help with it. This is not a “Don’t worry, be happy,” command. Let petitions and praises shape your worries into prayers… -- He doesn’t say, “Stop worrying.” This scripture gives us a concrete, specific outlet for our worry. This is a constructive path for us to take with what is on our minds. letting God know your concerns – Again, an unstated assumption, but it seems to me that this phrase assures us that God cares about our worries. He wants us to tell him what they are. Before you know it, a sense of God’s wholeness, everything coming together for good, will come and settle you down – God cares enough to be INVOLVED. He will take the worry and give us back peace and wholeness – before we know it. It’s wonderful what happens when Christ displaces worry at the center of your life? – Is worry a sin? Perhaps it is when it becomes the center of our lives. Perhaps the sinful aspect of worry is that it can displace God in our hearts and minds. We don’t have a promise that life will be easy. We have a God who knows that his children worry, and doesn’t offer empty, pointless responses to that worry. He wants to hear our worries, and he will then recreate in us peace. He will place himself at the center of our lives, displacing the worry -- which is the opposite of what we will do on our own. That’s our promise – The God of Peace will be with you. 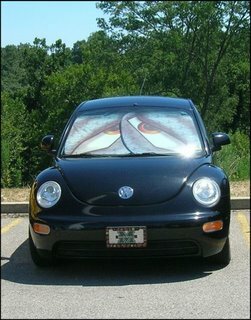 Image: Somebody's car here at the VA. Don't you think his sun visor makes his car look worried? One of my grandmother's favorite scripture passages was about the faith of a mustard seed. Sorry, Mom, but this has never been one of my favorites. I do love the image and the idea -- have faith as small as a tiny mustard seed, and watch the mountains move. The problem is that it has always left me feeling inadequate. I wasn't seeing any moving mountains. Did that mean that my faith was smaller than even a tiny mustard seed? 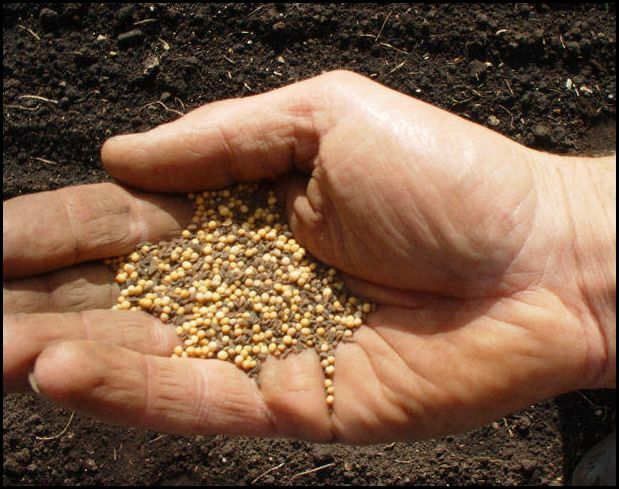 Did it mean that Jesus' definition of "mustard seed faith" was much larger than mine? Or maybe it meant that the mountains I was trying to move were ones that God wanted to stay put? How much faith do I need? Not a feeling of certainty. Just enough faith to take a step. I wrote next to that sentence (in Steve's book) the words "mustard seed." Maybe this is the concept that I have been missing. Perhaps mustard seed faith is the faith needed to take the first step. Maybe mustard seed faith is only the willingness to trust God enough that we will take one single step. After that step, after that initial trust, God takes over and moves the mountain. If you've been reading this blog for a while, then you may be bored with my example, but the prayer vigil last year is the one that comes to my mind. It started with an idea (maybe even an idea planted by God): wouldn't it be great if the congregation could become involved in an organized prayer effort -- an effort where even those who had never done anything like it before would feel comfortable -- an effort in which those participating would feel surrounded and supported by prayer (a lasting impression of an Emmaus walk)? I've had ideas before -- maybe even ones planted by God -- but more often than not they stay ideas with no development. No first step. With the prayer vigil, I took the first step -- I sent the idea to Joe and to my committee, and then I started asking people to sign up for an hour of prayer. Did I have faith that it would work? No. I had absolutely no idea if it would work at all. All I had was an idea that I thought God wanted me to follow, and enough faith (which is really such a tiny amount of faith) to take the first step. And then God stepped in and wow. It was a huge blessing and gift to me to see how much God stepped in. Mountains moved. I didn't need enough faith to know that it would work -- I only needed mustard seed faith -- faith to take the single first step -- the trust that God would make it happen. I think Ortberg's sentence has redefined the mustard seed scripture for me. When I read the scripture now, I see potential rather than the fruit of doubt. It is a call to trust, rather than a finger pointing at failure. The seed for this post came from the book that Linda gave me called Fingerprints of God by Jennifer Rothschild. Joe said in Sunday school once that the word agape hadn't been defined until Jesus defined it. I like that idea -- love hadn't been defined until Jesus came along and showed us what it was. Paul does an excellent job of articulating what love is -- what is should be like -- in 1 Corinthians 13. If you read that passage, you can walk away with an idea of how we should love each other. If it's true, however, that Jesus showed us what love should be like, then what was the source of his definition? If Jesus is our best mirror of God -- if we can learn what God is like by watching his son, then doesn' t it stand to reason that the love Jesus defined for us is God-like love? Can't we make the leap that the way Paul explains how we should love each other is the way that God loves us? He is not envious or boastful or arrogant or rude. He does not rejoice in wrongdoing, but rejoices in the truth. God bears all things, believes all things, hopes all things, endures all things. Since high school the 1 Corinthians "love" chapter has always been one of my favorite scriptures. I find delight in the image it presents of how we should love each other -- how we should treat each other. It's eye opening for me, though, to consider that this is how God loves us -- each one of us. Not in an abstract, wouldn't it be great if kind of way, but this is how we are loved. When you think about it, this image of God is in opposition to some images of God. Think God is like Zeus, throwing lightning bolts around and raining anger on the mortals? God isn't like that at all -- he's patient and kind. He is not rude. Do you think God rejoices in the death of your enemy? God does not rejoice in wrongdoing; he rejoices in the truth. Do you think God throws up his hands in disgust, walking away from us as we continue to sin? God isn't like that. He bears all things. He never stops hoping for us. Do you think God has an uncompromisable will? Do you think he doesn't care what you think? Or listen to what would make your heart glad? God's love never insists on its own way. God cares more for us than for himself*. If you make a mistake, do you think God is going to "get you for that?" God is not irritable or resentful. Do you think God has a list of your sins (or your neighbor's sins), like Santa Claus? God keeps no record of wrongs**. God believes in you -- always, without fail. There is no list - not of your sins, and not of your accomplishments. There is only God's never ending belief in you. Do you think he could ever stop loving you? God's love never ends. It's a natural step, isn't it, to believe that God loves us in the same way that he would teach us to love each other? And when we think about it, it blows some of our incorrect images of God right out of the water. We often say "I believe in God." Rarely, I think, do we realize that God believes in us -- and it is an extraordinary faith. Notes: * = The Message translation. ** = NIV translation. All others NRSV. Images: Aren't they wonderful? Steve took these the other day. Thanks to him for letting me use them. Logic and definition have no place when experiencing the presence of God. That sentence stopped me. I even wrote it down. Do you agree with it? I don’t believe that I do. We often compare our experiences in the presence of God as trips to a mountaintop. For a moment, let’s use that metaphor to think about the sentence in question. We begin in the valley, hoping to get closer to God. Maybe down here in the valley, we’re not even sure that God exists, and if he does, how we would approach him or what he would be like. In the valley, we might look at a miracle in the Bible and try to explain it away – Lazarus wasn’t really dead – when Jesus came by, Lazarus coincidentally awoke from a coma. Logic at work, but logic without faith. The journey up the mountain begins with faith. Notice that the Bible never tries to prove the existence of God – that’s faith. Faith is the acceptance that God exists – that God is God, that he created us and that he wants to be in relationship with us. If you’ll pardon the mixing of metaphors, maybe that is the elevator that takes us up the mountain. Once we’re on the mountaintop, the emotions are wonderful – joy and thrill at being in the presence of God. The spirituality of that can take our faith and embed it into our bones, making theophany permanent. It’s the mountaintop. It’s where we want to be; it’s where we want to stay. But it’s not the destination. Wait! Don't head down the mountain yet -- God has more in mind. I can just see, in my mind’s eye, God standing there on the top of the mountain, rubbing his hands together, saying, “Great! You’re here. Now let’s play!” We are made in the image of God, and that doesn’t mean that only our emotions are divinely created – so is our logic and our creativity. Pull out your whole bag of tricks, and dance. Logic – What are your questions? What would you like to know? I wonder if any of the disciples said “No” to Jesus when first asked? How did he convince them? Did the rich man ever get (or take) a second chance at being close to God? What happened when the woman who Jesus saved from stoning got home? Maybe you’re not on the mountaintop alone – look around. Do you see friends? Engage in that means of grace called Christian conversation, and explore. Don’t leave one of the best tools God gave you in the valley. Dance! Creativity – This is one of the characteristics that we share with God. I can’t blow on dust and make life, but I can certainly take crayons and paper, draw a rainbow, and tell a child how God will keep his promises. Can you see the sunset on the mountain? What does it tell you about God? Need to teach a class a difficult to master theological concept? Spend some time on the mountain with God and your creativity – and watch the sparks fly. Think about it for a minute. The emotional response is a gift to us, what God does next is to equip us to be a gift to others. God made us whole – he gave us emotions, but he also gave us logic and creativity. He wouldn’t require us to lay part of what he gave us aside in order to be in his presence. I think it takes everything – faith, emotions, logic, creativity, (and that’s only the beginning of a list) to fully experience God. Faith gets us up the mountain, an emotional, spiritual response is a breathtaking, God-given gift, and then we find out that God is only getting started. Then we find out that it is time to FLY. Image: I took the picture last night after a meeting at church. It's the sky across the street from our house. See the bird? I didn't see the bird until I looked at the picture on the computer -- what a great surprise. I knew I would use it today -- whatever the post I wrote. It wasn't until this moment, after coding the image, uploading the text, and writing this little paragraph, that I realized the bird was FLYING. I understand the easy part of that question. I know that we do not require membership in the United Methodist church in order to participate in communion, but are there other requirements? On of the more common invitations to Communion in the Service of Word and Table is “Christ our Lord invites to his table all who love him, who earnestly repent of their sin and seek to live in peace with one another.” (UM Hymnal). Let’s pair that with a scripture from 1 Corinthians 11:27-32. It is Christ’s table – he extends the invitation, we do not. The invitation is extended on HIS behalf. Wesley described communion as one of the means of grace. I wonder sometimes if the statement that those who “earnestly repent of their sins and seek to live in peace with one another” narrows the door to our Open Door Communion. Does the statement make us feel unworthy? 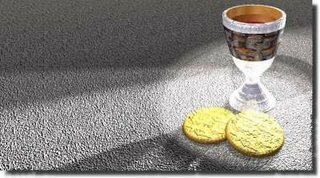 Does it keep those who need the grace that communion offers from approaching the table? Where would God want those who feel unworthy to be? Sitting in the pew? Or kneeling at the altar rail? What happens to the person who has no ability, on his own, to live in peace with his neighbor? What happens to the person who needs grace to even be able to speak to his neighbor? Don’t you think we need to bring everything to communion? Our sins, our burdens, everything? Do you earnestly repent of ALL of your sins? Are you ever worthy of communion? I don’t think I am, and yet I go anyway. From what I know of God, it’s where He wants me to be. Bringing all of our sins – our failings, our inability to be repentant, our hatred and our baggage to the table doesn’t mean that we are approach communion in an unworthy manner. It means we are desperate to accept the grace offered – to accept the invitation. If communion is a means to grace, then why would we ever want to stop someone from approaching? It’s Christ’s invitation, not ours to extend. If the statement in the invitation sometimes makes me feel uncomfortable -- unworthy -- even though I approach the table anyway, doesn't it stand to reason that there are those who will not accept the invitation because of their sin? Why is it that the sin of an unrepentant heart can be enough to block us from approaching grace? Isn't that when we need grace the most? I wonder if Paul, when he says that we are not to approach communion in an unworthy manner, was not speaking to those who feel sinful or unrepentant. I wonder if perhaps he was speaking to those of us who would judge others as unworthy. If we truly believe in the transforming power of grace, and if we truly believe that communion is a means to grace, then we have to believe that God invites the “unworthy.” He invites you, and thank God, He invites me. Image: Another one from HermanoLeon Clipart. I don’t particularly like country music. I do like it now more than I used to (it’s much less cuunnn-ttttree than it used to be), but I make no real effort to search it out or to listen to it. The other day I was “browsing” the channels on TV and stopped on one of the country music video stations. The song Swing by Trace Adkins was playing. I really like the chorus, and I’m going to steal it for this post, although you should know that I’m using it in a way that it was not originally intended. (OK, OK, I like the song as is, too, and I really like the video). Failure is not an event; failure is a judgment about an event. Wow. How true, and how odd that’s I’ve never thought of it like that before. We are constantly labeling our actions or ourselves as failures because we make a judgment about an event. We spend our lives living in a world in which society tells us what failure is – we allow the people around us to define failure for us, and tell us that we need to avoid it at all costs. We go so far as to believe that we, as a person, are a failure, because society defines an action or event that we have experienced as a failure. Society may tell us that we are a failure as a parent because our child is addicted or lost when really the greater success is that we continue to love this child even amid these seemingly insurmountable challenges. Society may tell us that our marriage was a failure when really the greater success, the blessing, in fact, is the life that followed the divorce. Society may tell us that the cancer treatment was a failure, when the success is actually the additional year of life that it allowed – when the success is the number of lives touched and changed during that year as people witness the presence of God. Society may tell us that the end of a job is a failure, when the success is found in the way we cope with finding a new career, and the triumph of a new career built on the ashes of the old one. Think of Peter as he walked on the water. Some would say that he lost his focus on Jesus and sank – a failure. Ortberg goes on to say that Peter is the only one who “swung his bat.” He was the only one who experienced what it was “to do what he was not capable of doing on his own, then feeling the euphoria of being empowered by God to actually do it.” Then, when he sank, he was the only one who was able to experience the saving grace of Jesus after “failure.” Jesus was there for him – he picked him up when he was drowning. Sounds to me like Peter didn’t fail at all – or at least his failure was much less than those other eleven who stayed in the boat. Next: Last New Year's Day, I did a short devotion in our Sunday school class while we enjoyed a great brunch. I told the class a story -- an annoyance that had happened to me the previous year at work. It's was one of those little, nasty encounters that don't matter much, but keep coming to mind. Once I finished story, I took my notes, and ran them through a shredder I had brought with me. That's what God can do with annoyances like that -- once we give them to Him. He can shred them into nothingness so that they no longer fester within us. I did it as a fun illustration, but since then I've been amazed. I never think of that story again that it hasn't been transformed for me. It no longer bothers me; now it is an illustation of burden lifted. So, another weight was dropped on my head today. One of those little, annoying pesky events that festers. A man at work (not my boss), who has known me for 17 years, made what I'm sure he thought was a joke, but (sorry, but I have no other word for it) pissed me off. It made me mad because it was a comment that questioned my integrity. He's known me for 17 years - he should have known better. I've known him for 17 years, and I know that he (although he would never think this was true) enjoys making other people feel small -- less than he is. I know that, and I've learned over the years to deal with it, just like we all do with people in the world. So what did I do? I gnawed on this ugly bone all the way home -- to the post office, to the gas station -- all the way to the house. I wasted my time arguing with him in my head, giving his comment much more value than it deserved. How do we handle experiences like this? How do we engage God's shredder to forgive and move on? Well, my gnawing got interrupted by a nice, long phone call with my mom (we celebrated good blood tests and laughed). From there I moved on to a couple of funny emails, and then to dinner with Steve. He told me a hilarious story about demons and traditions (if you know him, get him to tell you this one). In other words, I lived my life. My blessings took care of shredding the false hugeness that this stupid comment had assumed. Everything fell into perspective -- where it should be. 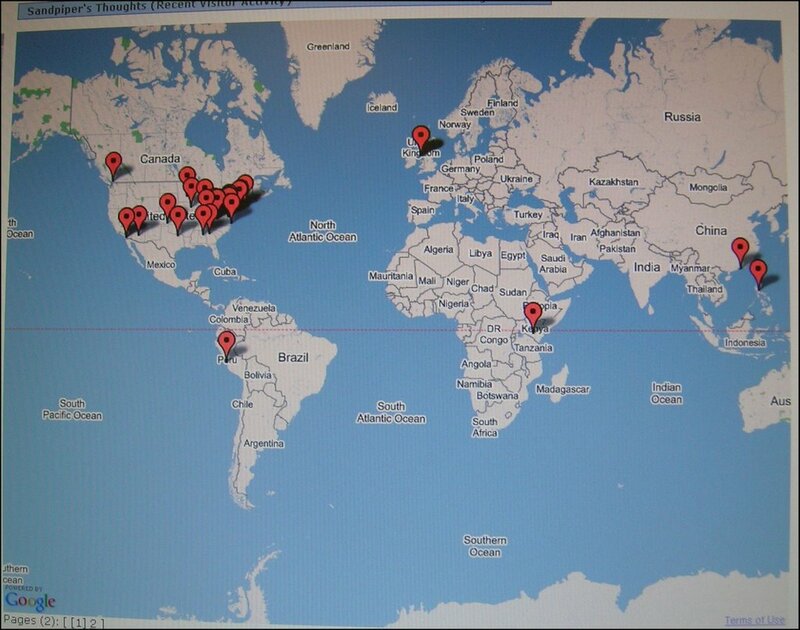 Images: Photo of StatCounter Google map (couldn't figure out how to save it, so I photographed it). 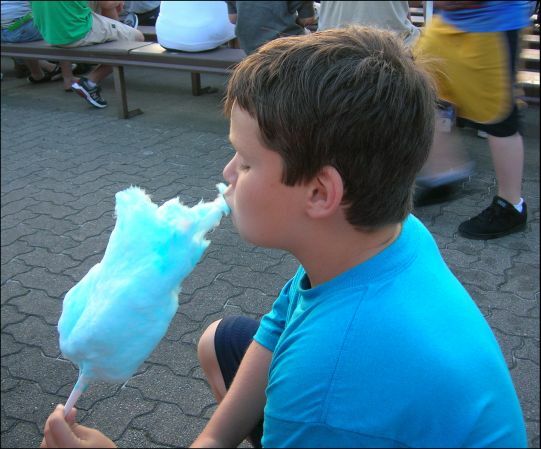 Second one is a picture that came in my email today. How Can We Describe Him? One of the lectionary readings for this week was Psalm 111. The writer of the Disciplines devotion said that this poem is an acrostic Psalm, each line beginning with the next letter of the Hebrew alphabet. To illustrate the value of this, the author told of a rabbi who explained to someone, desperate and unable to pray, to instead pray the alphabet -- God would supply the words. Name, and trees clap their hands at the vibration of his footsteps. Image: The sky yesterday evening. The sermon at Common Grounds tonight was on DVD rather than live. The speaker was a young man who was sitting in an empty airport, speaking to us as if we were having a conversation. His theme was forgiveness versus revenge. It was a good message. He led us into the idea that forgiveness was really about us -- freeing ourselves from the baggage that we carry around. Toward the end of his talk, he held open his hands, and said, with real determination, "I will not carry this burden around ONE - MORE - DAY." It was a good message until the very end, when I want to turn around and throw a candle at Mace. I refrained. It didn't seem particularly forgiving to throw glass objects at our Technology Director for showing a sermon that scared me half to death at the end. I usually don't plan ahead what my blog posts will be about. Sometimes I have a vague idea of what the next few might be, but, as they say, that is always "subject to change." When one has a commitment to write everyday, it's always a nice feeling to have three or four possible posts floating around in one's brain, awaiting development. There are great moments, though, when a post just appears -- lands in my lap -- and demands that I write about it. Today's post is one of those. I taught a class -- good grief, I just did the math -- FIFTEEN years ago in our church. It was a series of classes called the Bethel Bible Study. It met over a period of two years for six sessions, each of seven weeks = 42 classes. Jeff and I were talking about it yesterday, just a passing mention, and he asked who had been in the class. Not a very fair question to ask me -- I can barely remember our neighbors' names. I have some kind of "name block." Predictably, I couldn't list the names of the students. It frustrated me, because I met with them, as their teacher, 42 times. You would think I could remember their names! When I got home, I pulled the notebook off the bookshelf in which I had filed my lesson notes, knowing it had a list of students in it. That problem solved, I flipped through the notebook. I haven't had this notebook down off the bookshelf in YEARS. It's been so long since I opened it that the ink on the paper was making the pages stick together. Stuck between the pages of the notebook was a church bulletin from February 7, 1993. I have no idea why it was there, or why I would have saved it. I normally just leave the bulletin in the pew each Sunday, but something about this one made me carry it home, and actually stick it in this notebook. we walk a path made up of dreams. A universe of vast extremes. can separate us from your Word. we are forever in your care. They are words that in so many ways are exactly what I needed to hear. ...For those few moments, as I held her gift, I was not longer overwhelmed by my messy office. Instead, I became overwhelmed by the sweetness of God, sent to me in a crumpled gift bag by a woman who had little time and money yet spent both on me. "Your name is like honey on my lips." The lyrics of the CD filled my office and -- more importantly -- my heart. His name is sweet, His touch is kind and personal, and His timing is always perfect. I know the Sno-Caps came from an anonymous woman in Orlando, but as far as I'm concerned, they came from the hand of God. With the eyes of faith, I could see His invisible fingerprints all over them. Oftentimes we pray and plead for God's encouragement, wisdom and blessing. But then when He answers, when His touch truly comes upon our lives, we don't recognize it because it didn't arrive in the expected package. It didn't come to us in the way we anticipated or imagined. God told me on my Emmaus walk a simple message -- "Trust more; Love more." I walked away from that walk convinced that that was his message for me. I'm still convinced, so I'm going to quit arguing with myself and trust more. I don't need to know how, or why, or when, but I'm convinced that God made sure I stuck that bulletin in that notebook years ago, that He left it there for me, and that He led me to it yesterday, because He knew it was what I needed to hear. I'm going to trust, that as I hold this gift of a song in my hands, that God put it there. Maybe you need to hear it, too; hence this post. He sings to us His song of grace in the space between the drumbeats. Thank God He does. 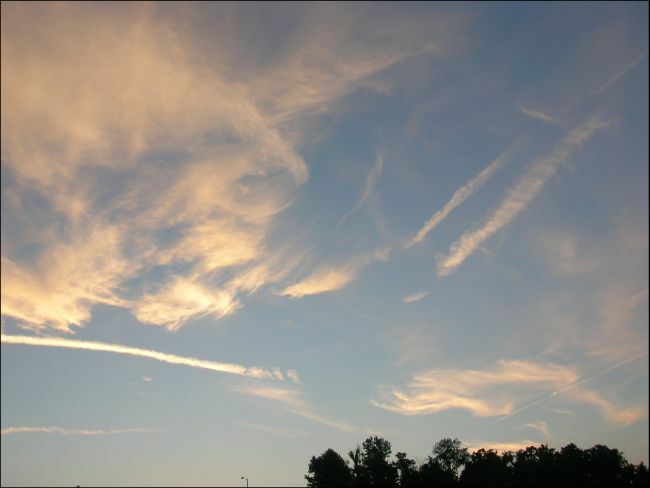 Image: Morning sky at VA today. I have observations and questions about communion -- maybe this should be two posts. My current experiences with communion come from mainly two sources (although not exclusively). Our church participates in communion one Sunday every other month, and Steve and I attend our Emmaus Community Gatherings, which always include communion. I love to watch for symbolism, and communion is rife with it. Before I show you my list, please understand that these items I list are only the steps of the dance. They are not the purpose of the dance; therefore, let's not place too high a value on them. Our sanctuary has four sections of pews and five aisles (you can kind of get an idea of that here). If I were to number them, I would call the two very side aisles -- along the edge -- 1 and 5, the center aisle would be 3. That leaves aisles 2 and 4 to divide the room into quarters. I know others (3/21/06) disagree with me (and isn't that fun? ), but I really like the way we use these aisles to approach communion. Ushers invite each pew, from the front to the back, to travel down aisles 2 and 4 toward the back. We cross across the back of the sanctuary, and then meet together in the center aisle, to walk toward those serving communion. Isn't it strange that the one communion dance step that would remind me the most of the walk to Emmaus doesn't happen at an Emmaus gathering? It is part of my church's tradition. The walk can be long, and can seem to be unnecessary, but the journey is important. I like that we walk so far -- just as on the Walk to Emmaus, God knows we need the time to make the journey. (And, really, do we need to be in a hurry?) I also like that we come together as a church (one aisle) to approach communion. It's all symbolism, but I think it adds to the richness of the experience. At an Emmaus Gathering, those in the back of the sanctuary are the first to be served. The first shall be last -- to me this embodies one of the principles of the Emmaus walk -- putting others first. Also at the gatherings, the community approaches communion linked -- the person behind walking with a hand on the shoulder of the person in front. At the actual time of service, the front person turns and maintains contact with one who had been behind him -- what better symbolism could there be for community support? Last Sunday, when we participated in Communion at our church, we were served the "wine" in the cute little disposable communion cups. We received the bread and wine at the end of the aisle, and than carried it to the altar rail. After communion and prayer, you leave the little cup on the railing and then go back to your seat. Do you see the symbolism there? You carry the cup to the railing, and then leave it behind. You carry your burdens to the altar, and then leave them behind. Sins, problems, worries, separation, anxiety, distractions, heavy, tormented hearts -- all brought to the altar, and then left behind with the dirty dishes. It's all part of the dance. This symbolism is not communion, but it does clear the way for the goal, which is COMMUNION with God. Stealing a concept from the book Fresh Brewed Life, if we know the steps of the dance, then we can stop watching our feet, and concentrate on the face of the one with whom we are dancing. If communion is a means to experiencing God's grace, then I think these moments of symbolism are like the landing lights on a runway, directing the jet safely home. The devotion I read this morning was written by a man named Larry Gent, who is the Associate Director of Communications for the Virginia Annual Conference. I really liked what he had to say today. The scripture he began with was 1 Kings 2:1-3:2. He spoke about the wisdom of Solomon. Solomon, while he did bring a golden age to Israel, also ushered in the country's downfall. If Solomon is his wisdom could do such a poor job with decision making, what hope do we have? Gent went on to point out that Wesley believed that Christian communication was a means to God's grace. It sounds simple, doesn't it? Christians, sharing conversation about their problems, challenges and worries, could be a means to grace? Gent, who is the former chair of the Native American Ministries Committee, said that Native American elders believe that God speaks in the silence between the drumbeats. God speaks in the silence of our Christian conversations, if we will listen for Him. My Sunday school class is my oldest means of conversation (not the people in it -- the length of time I have been a part of it). One of the blessings of the class is that we share ideas about the lessons. We are also a support group for each other -- the load is lightened by sharing it. Teaching, for me is a means of conversation. I learn so much from listening to the comments that happen when I teach. I often push a question -- waiting until someone -- anyone -- will make some kind of comment. This gives the class that opportunity for conversation that I just mentioned, but it also opens up new thought paths for me. I am part of a relatively new Emmaus reunion group in our church. This was the first group that came to mind when I read the devotion. It's taken us a few months, but we really seem to be developing the trust and fellowship to be a place for authentic Christian communication. It's great to be a part of a group of women that shares life struggles. We are all kind of in the same "boat" so to speak -- aiming to lead a Christian life, and we can at least support each other as we share our problems and joys. I am blessed. Although it can be one-sided, sometimes my blog serves this purpose. It has certainly been a motivation for me to keep my eyes and ears open for God's actions around me. As odd as it sounds (although maybe not, in this high-tech world) sometimes email can serve this same purpose. I mentioned a while back that one of the ways in which the Emmaus walk changed my habits was that I feel more comfortable talking about God. It doesn't seem as forced or as unnatural as it used to feel. This has certainly impacted many areas of my journey, and I'm grateful for it. God speaks in the silences between the drumbeats, if we will just listen for him. Christian conversation as a means to God's grace -- I can certainly attest to that. The service yesterday was packed with transitional moments -- friends moving away, a sermon about the healing of a tormented heart and an announcement about the formation of committee to investigate a church merger. During the children's moment, Joe was speaking to the kids about moving, and he said that no matter where you go, God gets there first. I may have the phrase he used a little wrong, but the idea for this poem came from Joe and the service yesterday. would be a sign of ingratitude. for the care he had received while here. stopping the man in his tracks. God will get there first. of his blame in his son's death. Start today, at the altar. An invitation to God's table. The blood and the body, given for us. We travel down the aisles. sometimes longer for one than another. Hoping to find a new one. will keep them in the palm of His hand. considering the roads they should travel. How can we best minister in this town? How can we best be God's church? Will we take separate roads or one? Can we hear God's voice in the process? All we have now are questions. Images: The sky last night at Pullman Square. Steve tells me that he has heard if you walk under a high voltage power line, carrying a fluorescent tube, that the static electricity in the air will power the tube, and it will light up. All because you are walking near the power source. He also told me that someone told him (rumors abound) that if you carry the same "tube" under the nose cone of a fighter jet, that the tube will light up -- powered by the static from the instruments in the jet. All because you are walking near the power source. Have you ever been near someone who was telling a joke who got so wrapped up in the funniness of what he was saying that all he can do is laugh? You sit there and laugh with him, because the laughter is contagious. You laugh -- even though you don't know the joke -- just because you are near the person who is laughing. I talked about spiritual gifts in a post a few weeks ago, and I mentioned that we discussed in class that you know when you are using your spiritual gifts for the edification of the body because you feel joyful and energized -- deep gladness -- a sense of RIGHTNESS. It happened again to me today while I was teaching Sunday school. Steve says that he can tell when it's happening because I am "in the groove." I think these groovy moments -- when we feel deep gladness in using our gifts to meet the world's deep hunger -- are moments when we are closest to God. Which brings me to a question. Why is it that we feel joyful? Why are we energized? I believe it is because we are created to do the will of God, but could there be more to it? I'm walking out on a limb with this theory -- I haven't thought it through all the way, and maybe this is too simplistic, but when does that ever stop me from writing about it? If we believe that these moments when we are standing at the intersection of our deep joy and the world's deep need are when we are closest to God, and if we experience joy and energy -- rightness -- in these moments, then could it be that the source of the joy and energy is God? Are we standing so close to the power that it's God's joy in us that we're feeling? Could we be energized by God's energy? And do we feel the "rightness" of what we are doing because of God's approval? Don't get me wrong -- I do think the joy is our joy and the energy comes from us, but could it also be God's joy we're feeling? God's energy that moves us? Are we like the lightbulb, lit up because we are standing so close to the source of the power? Have you ever been going through a normal day -- no problems, no worries, and have grief come up behind you and smack you in the back of the head? I went to a wedding today. It was beautiful -- we enjoyed it. Steve and I know the bride and groom enough to say hello in church, but the bride's parents cross our paths more often. The wedding was in our church, and the congregation was heavy with church members. I was just sitting there, enjoying the music and company, when the processional began. The music which began was Josh Groban's You Raise Me Up -- I challenge anyone to remain emotionless during that song. One of the ushers brought in the grandmother of the bride, and it brought back memories of our own wedding. For our wedding, instead of an usher escorting in the grandmother of the groom, Steve did it. He came down from wherever it is that the groom hides before the wedding and walked her up the aisle, then headed back to the groom hiding place. Seeing a grandmother seated at the wedding reminded me of that, and of my own grandfather attending our wedding. It was the last time I saw him before he died. Funny how grief can sneak up, have its way with you, and then slink away, back to its hiding place. Once the song was over, and the bridesmaids began their march down the aisle, I was fine. Just a minute or two of missing them, and the sadness was tucked away again. Missing family members is never over, is it? Instead of rice, we wished the bride and groom good wishes with bubbles. Someone should warn Joe that I've thought of a way to put the question of "to clap or not to clap" out of everyone's mind. I'm bringing the bubbles with me to worship tomorrow. The research I do at work involves investigating the role that vitamin A plays in the development and function of the cells in the pancreas which secrete insulin. That means that as part of my job, I work with vitamin A (you can ignore all the rest of that first sentence). Vitamin A is a slightly fragile chemical. It is easily degraded by light, oxygen and heat. Part of my job is to protect it from those things which will harm it, so I work with it in the dark (or mainly in the dark), I store it under nitrogen, and I keep it frozen ( -112 F). 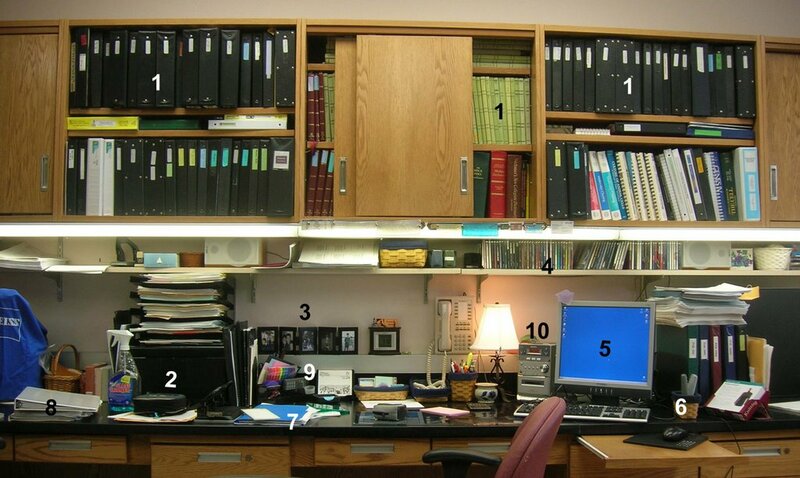 All of these steps means that my vitamin A is protected from those things which will destroy it -- light, heat, and air. Hold that thought, and consider this...The four of us were at dinner last night (Logan's). G had his IPod with him, so I reached over and picked it up. I put in his earphones and started a song (Never Been Any Reason by Head East). Listening to this song, with the IPod set at Grant Volume, I noticed something. With earphones in and the music playing, you are in your own little world. I could see those sitting around me, I was still in the restaurant, but I was apart from it. Isolated. Mouths were moving as people talked to me, but it was as if I were watching it all on TV. I was separate from everything around me except for the music, which was filling my head. What is our calling as Christians? Are we fragile like the vitamin A -- so much so that we need to protect our faith from the light and heat so that it doesn't degrade? Are we called to live life separated, pulled apart from the world? What is our role as a Christian in the world? Sometimes it's easier to pull back -- to disengage from the world. We isolate ourselves in church, in our homes, in our daily lives -- ignoring the secular world around us. Sometimes that is necessary -- at times it is how we are renewed and strengthened, and that is wonderful. It seems to me, however, that we aren't called to live apart, separated and protected. God equips us to live our lives in the light, and He wants us to have a faith that will survive the reality of daily life, and doesn't need the protection of isolation. Do we live a life where we pull our children out of public schools to home school them? Do we engage in the world, or do we protect ourselves from it? Are we Christians at work during the week or do we save our faith for Sundays? Do we demonstrate our faith to our neighbors, or do we keep it a secret? Do we even talk to those neighbors who don't meet our definition of Christian? If we are meant to be salt and light, then how can we do that if we live in a Christian bubble? 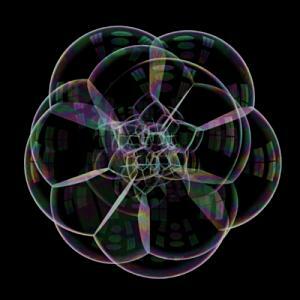 The bubble already has flavoring -- we are meant to be part of the world at large -- working to change it, not trying to protect ourselves from it. 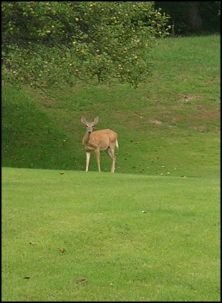 When we got home from dinner this evening, we found that we had a visitor in the yard. She stood there, even after we got out of the car. I guess our apple tree appealing enough for her to want to stay around. She just stared at us and chewed. Another surprise when I got home from work this evening. 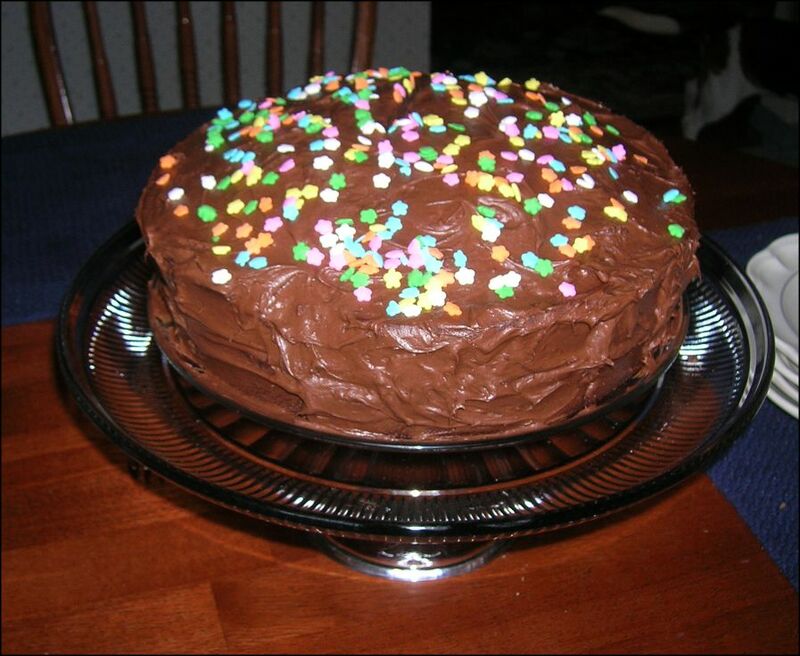 Steve had baked a 2-layer chocolate cake. 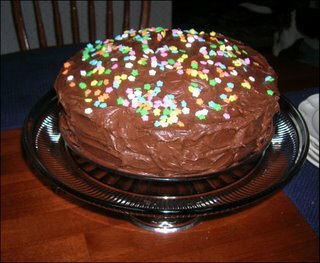 The star sprinkles were for J, I imagine -- and they made the cake pretty. It was sitting on a dome-covered cake plate in the middle of the kitchen table -- in the middle of a perfectly clean kitchen. Wow. 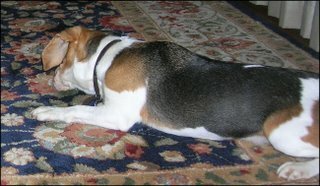 The last picture is of our dog, enjoying herself as she chased a bug around the kitchen and dining room. It's not a very good picture, but she was very cute. She doesn't kill them -- she plays with them. I guess "playing" is in the eyes of the beholder. The movie "You've Got Mail" was starting on the TV. J: Mom, is that the guy from The DaVinci Code? Me: (impressed) Yes, it is. J: He looks like Chandler's evil twin. This little story was sparked from listening to a song I mentioned yesterday -- Angel's Wish by Steven Curtis Chapman. 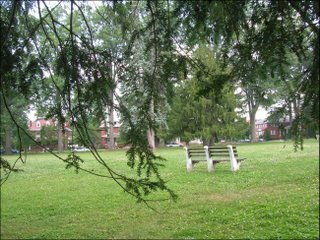 He sat on a park bench, alone in the deep green stillness. Leaves rustled around him, and he felt a slight, comforting breeze. Heaven. He knew without a doubt that that was where he was. He had never felt such peace. He had never experienced such an absence of worry -- of stress. His mind and his body were filled with shalom. Love, unlike anything he had ever imagined, ever even dreamed of, surrounded him, filled him, covered him with warmth and belonging. He couldn't describe it, was only beginning to understand it, but he knew without a doubt that it was heaven. He sat on the bench, unwilling to move or to even think about leaving this spot. He sat and knew the freedom of timelessness. Finally, and yet just at the right time, a man walked up to him, and sat on the bench with him. The man wore faded jeans and a flannel shirt, worn to soft comfort. He looked at his visitor, and realized that this was no man. "Who are you?" he asked. "I'm an angel," he said. "Angels look like you?" the man asked, surprised. "Today, for you, for now, this is what I look like. Even though he knew the answer, the man asked anyway, "This is heaven?" He waved his hand around the park. "For you, for now, this is what heaven looks like." They sat together for a while, the man a little intimidated to be conversing with an angel. The angel, on the other hand, seemed excited. Overcoming his hesitancy, the man said, "Would you tell me what it's like to be a witness of God's majesty?" The angel laughed. It was a wonderful sound, full of humor and joy. The man could have listened to the music of it all day -- who needed harps and lyres when laughter was so beautiful? Finally, the angel said, "I'll tell you anything you want to know, but that question is just a little broad." Encouraged, the man began to ask his questions. What was it like to see God create the world? Did He have fun designing all the animals? Are we really made in God's image? Does that mean we look like him? How hard was it for Him to send the flood? Did He mean it when He sent the rainbow? Why David? What was it like in heaven when Jesus was born? When he died? When he ascended? Does God ever want to throw up his hands in disgust and walk away? The angel and the man talked for hours -- at least, it would have been hours if there had been a way to measure timelessness. Neither of them tired of the discussions. The man learned of his God in a way he had never even imagined would be possible. The conversation finally wound down as the man began to become overwhelmed with all of the images and information that the angel thrust upon him. "Don't worry," the angel said, "There's time to talk about it later." They both leaned back against the bench, enjoying the silence. Not long after the stopped talking, however, the man realized that the angel seemed to be waiting for something. "What is it?" said the man. The angel grinned and said, "I want to ask you some questions." "Me?" The man was incredulous. "What could I possibly know that you would want to ask me about?" Grinning, the angel leaned forward on the bench, his whole body tense with anticipation, as if waiting for a revelation. "Tell me, won't you, what it's like to be a Child of God?" Shocked, the man said, "What? Well, what do you want to know?" So the angel began his questions. What's it like to be loved so much that the God of the universe will sacrifice his own son to rescue you? Can you explain how it feels to know that God's spirit is a part of your existence, helping you and guiding you through every step of life? God would get so angry and hurt sometimes, when man would reject him yet again, but He never seemed to want to walk away. What's it like to be loved like that? He hears your prayers and suffers when you hurt. I've seen Him cry over the loss of a someone you love, even though that someone was now sitting next to me in heaven. His tears were only because you were so sad. What's it like to be loved like that? Can you tell me what grace feels like?" The man sat shocked into silence for a moment, and then started to explain it, as the angel watched him with rapt attention, never loosing interest when the man stumbled through his thoughts. Finally, worn from the emotion of the discussion, the man stopped. He said, "Surely you've heard all this before. Why are you so interested in what I have to say?" The angel smiled and said, "Oh, yes, I ask every child who I can about it. I never tire of hearing the answer. I want to hear the story over and over." Shaking his head in disbelief, the man leaned back again, enjoying the view and the peace. He looked at his new friend, and said, "What's next?" The angel reached over and squeezed the man's shoulder. The look on his face held many secrets and was colored with anticipation and excitement. "Don't worry," he said, "You're in heaven now. God's just getting started."